Room this week – but I did have a go at Makeesha’s Challenge. It’s a Sketch Challenge this week. This is the Sketch. I decided to stick to my Joseph’s Coat Technique which we did in Card Class this week. 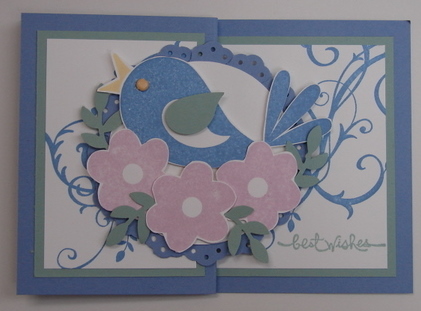 Here is the Card I did. 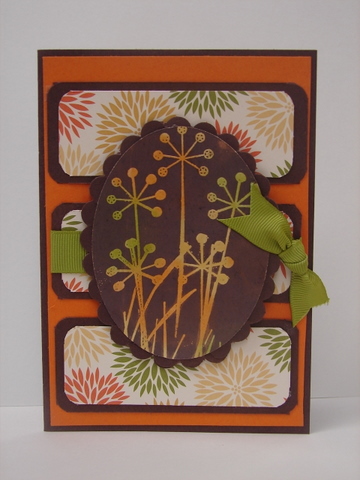 I used Good Friend Stamp Set, Old Olive, Pumpkin Pie, So Saffron & Chocolate Chip. What do you think? You can go and check out the other Challenge Entries here. We did a Z Fold Card Class last night. 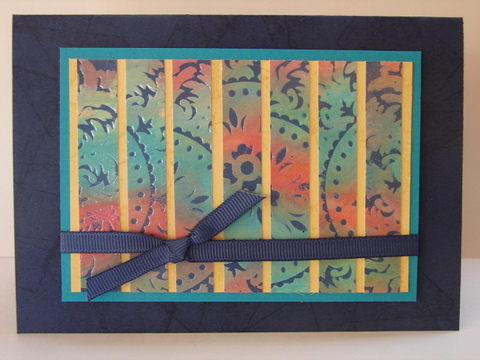 I decided to do this after doing a Z Fold Card Challenge as part of the ESAD Un-Convention in May. I found Z Folds easy to do but very effective. 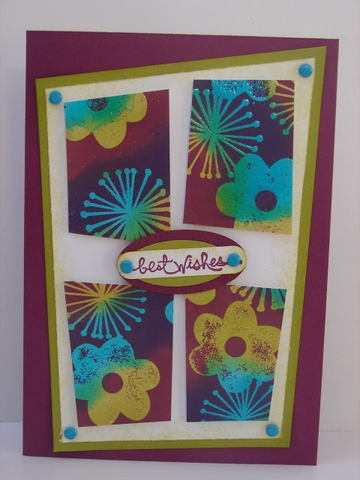 On this card I used Baja Breeze & Night of Navy. 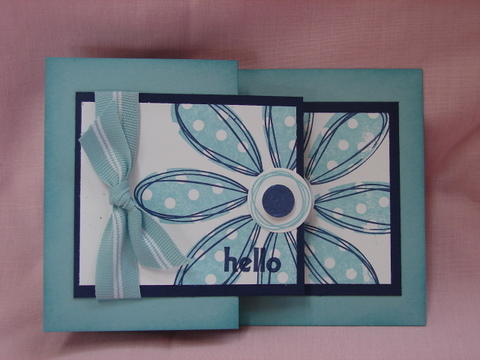 The Stamp Sets are Pick a Petal & Hello Again. Originally I was going to do this in the class – but in the end we did the Z Fold Card that I had put together when doing the Inkspiration # 30 Challenge. 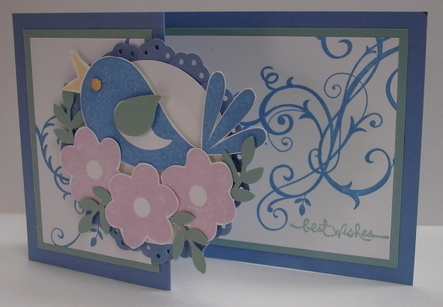 Here I have used Baroque Motifs, Good Friend and Short & Sweet. The colours are Brocade Blue, Sage Shadow, Pale Plum and Barely Banana. 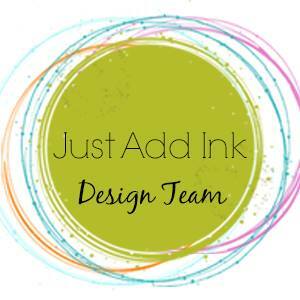 This week at Just Add Ink we are doing a Just Add Stitching Challenge. 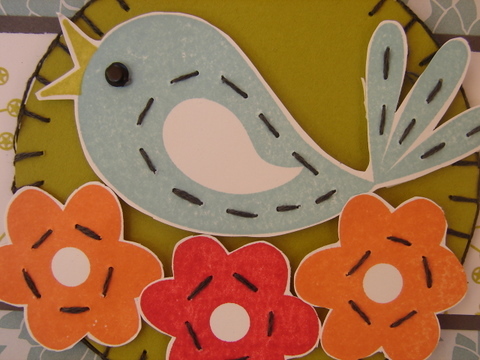 So that means you can make your Card, 3D Project or Scrapbook page with anything – but you must put some stitching on it. Faux or Real. 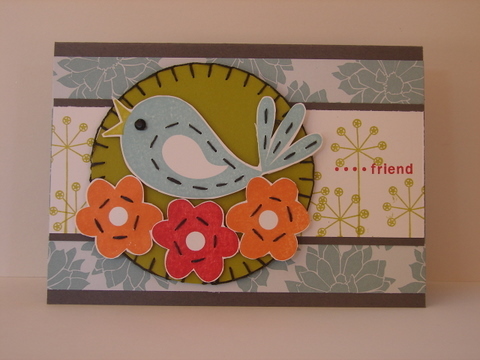 On this card I have used the Good Friend Stamp set and Urban Garden DSP. Here is the link for Just Add Ink – so you can go and have a go at the Challenge too….and look at all the different ways you can add stitching to your projects.